According to Naturopathic philosophy, the human body is intelligent, and symptoms are your body’s attempt to deal with the illness in the least damaging manner possible. Suppression, therefore, forces the illness “deeper,” into more vital parts of the body, and should be discouraged. Instead, we should work with our body’s symptoms in order to achieve the quickest cure. Homeopathy is a great way to do this. 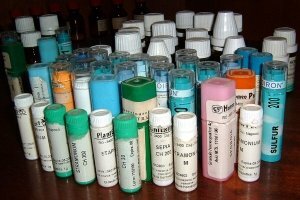 The word homeopathy literally means “same as the disease,” and it is based on the principle of “like cures like” – that is, a remedy is chosen for an individual based on his or her unique symptom picture. WHAT HAPPENS WHEN I TAKE A HOMEOPATHIC REMEDY? Because we’re giving your body a “push” in the same direction it was already headed, three things can happen when you take a homeopathic remedy: you get better, you get worse and then you get better, or nothing happens. If nothing happens, it most likely means the remedy chosen was incorrect (although occasionally it means that some obstacle is present that prevents your body from responding). If you get worse before you get better, we call that an “aggravation” or a “healing crisis.” This just means that we “pushed” a little too hard. The good news is, aggravations don’t last. Most last only from a few hours to a few days, or occasionally even a few weeks, but patients always return to baseline at minimum. Usually an aggravation is actually a good sign, though – it means we’ve chosen the right remedy, and once you return to baseline you will continue on to improvement after that. IF HOMEOPATHY “PUSHES” THE PATIENT’S SYMPTOMS IN THE SAME DIRECTION THEY’RE ALREADY GOING, IS IT SAFE TO USE? Although some remedies are derived from toxic substances, homeopathic remedies are “potentized,” which means that they have been diluted to the point where technically none of the original substance remains, and shaken well between each dilution. This process has been shown to imprint the “energetics” of the substance on the water in which it has been diluted. In terms of safety, this means that regardless of the potential toxicity of the original substance, homeopathic treatments will not cause lasting harm. BUT IF REMEDIES ARE SO DILUTE THAT THERE’S ESSENTIALLY NOTHING IN THEM, THEN HOW DO THEY WORK? 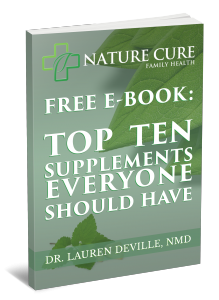 Although the principle of “like cures like” is well established clinically, and philosophically fits within the naturopathic paradigm, the increased efficacy of extremely dilute substances has been less well described. There do exist a few research papers which demonstrate the increased efficacy of diluted and shaken solutions, such as “Thermodynamics of Extremely Diluted Aqueous Solutions” (Elia and Niccoli) and “The Structure of Liquid Water; Novel Insights from Materials Research; Potential Relevance to Homeopathy” (Roy et al). These papers imply that water itself can take on different organizational structures, and perhaps this is the mechanism of energetic imprinting in homeopathy. But the process may very well be quantum mechanical in nature – which is an easy way to say, we don’t really know how it works! The goal is that homeopathic treatments required with the right remedy will be fewer and farther between until health is restored. In practice, however, it is more often the case that each remedy represents only a layer in the clinical picture. We continue treating with a particular remedy as long as you react and react positively to the remedy. Once you no longer react or once symptoms begin to change, it may become necessary to switch remedies. I incorporate homeopathic treatment within broader naturopathic protocols, based on labs when necessary or clinical presentation when that is sufficient. Your protocol will most likely include diet and lifestyle changes, and perhaps also nutritional supplements, home remedies and treatments, botanical medicines, and occasionally prescription medications when necessary.